The West Melton St John Youth Division held a recruitment drive last Monday as a way to encourage youth to join the organisation. 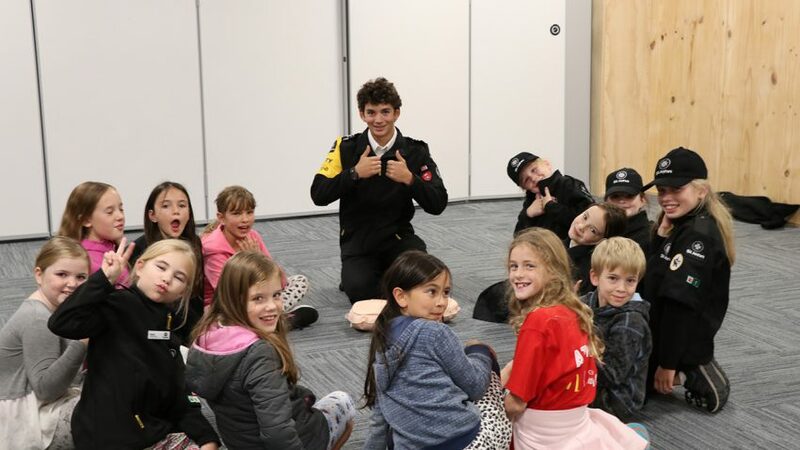 “It is a great opportunity to make new friends and learn skills such as first aid and drill marching as well as attend fun activities such as camps,” says assistant manager, Julie Gillespie. “We have approximately 30 members at present and are growing. The youngest in our penguins’ programme is six years old. Then you become a cadet, which goes up to 18 years old. We go to help at public events on the first aid team and later have opportunities in the wider organisation. Younger members grow in confidence and learn new skills, which are life changing in many forms. We work on badges ranging from first aid to adventure ship and outdoors activities. There are 28 in total, and at 15 years old you can take the clinical one course, which is the beginning of becoming an ambulance officer. I started when I was six years old, and have been in the youth programme for 15 years now and still love it. We are all volunteers and absolutely love connecting with the other members of the group and the community. The sense of family within the programme is amazing, and we get to share that with a lot of other divisions across the South Island.